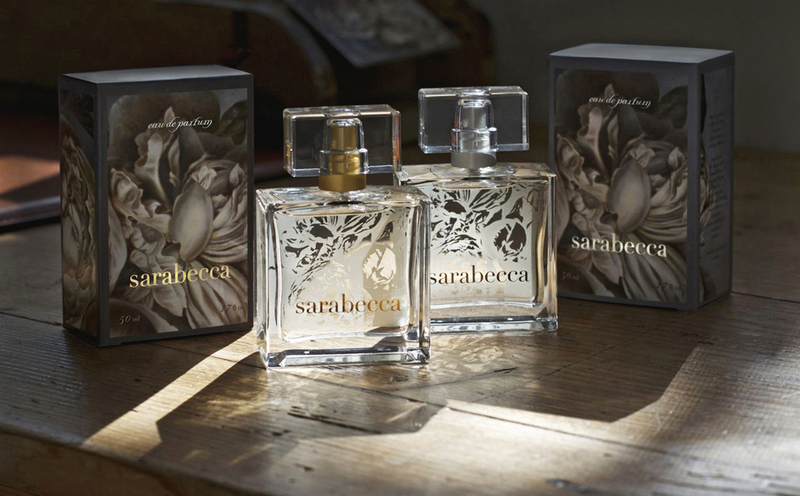 Rebecca Riskin, together with her Husband Ken Grand, has spent many months perfecting an all-natural perfume, Sarabecca, which has been named for Ken's two daughters Sarah and Rebecca, using only natural essence oils like vetiver, lemon, and an array of herbs. With two distinct yet harmonious fragrances, Day and Night, the duo provides a light and floral option ideal for sunny Spring afternoons and a silkier evening counterpart which is both warm and luminescent with notes of ginger and sage. Respected perfume blog CaFleureBon.com has caught wind of this enticing new fragrance, and like those of us around Montecito who have had the pleasure of experiencing Sarabecca, instantly fell in love with each version of the sumptuous fragrance. A glowing write-up perfectly describes the whimsical flirtation shared by Sarabecca Day and Night. The article aptly details the story of Sarabecca's creation while providing fun facts about the processes involved, and those not involved (read: Sarabecca is not tested on animals). Do you need to experience Sarabecca? (Answer: Yes!) Head to Cos Bar in Montecito's Lower Village, try it to be instantly transported a sun drenched field of summer wildflowers.